The Theater Collection at the Museum of the City of New York contains over 200,000 accessioned objects that document theatrical performance in New York City from 1785 to present day Broadway productions. The Collection contains a wide range of material types such as annotated scripts, articles, contracts, correspondence, design renderings, drawings, ephemera, memorabilia, photographs, personal papers, posters, prints, props, scores, sheet music, scrapbooks, window cards, 3-D objects, and architectural elements. With significant material on Broadway productions and related personalities, the Collection charts the expansion of commercial theater along Broadway to the establishment of the current theater district in Times Square. 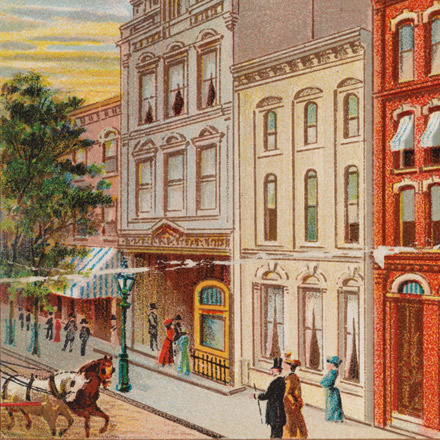 The story of Broadway is augmented with smaller collections on popular entertainment forms: burlesque, minstrelsy, vaudeville, and circus. Large gifts on composers and lyricists Harry B. Smith, George M. Cohan, Howard Dietz, and Betty Comden document the evolution of musical theater as an artistic form. A collection on Yiddish theater reveals how an immigrant culture created vibrant and commercially viable performance traditions that maintained a lasting impact. 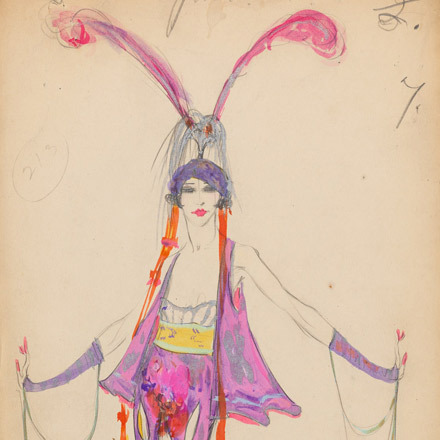 Highlights include but are not limited to the papers of Mary Martin; memorabilia of George and Ira Gershwin brothers and Richard Rodgers; the working scores and scripts of George M. Cohan; the studio negatives of Lucas-Pritchard/Lucas-Monroe; handwritten draft of early plays by Eugene O’Neill; a large collection of original design renderings; and, over 40,000 photographs of theatrical production. While many objects from the Theater Collection are used in support of our special exhibitions, not all of them can be on view at once. We will be adding more material to the Collections Portal as our imaging and cataloging work continues, so check back often! 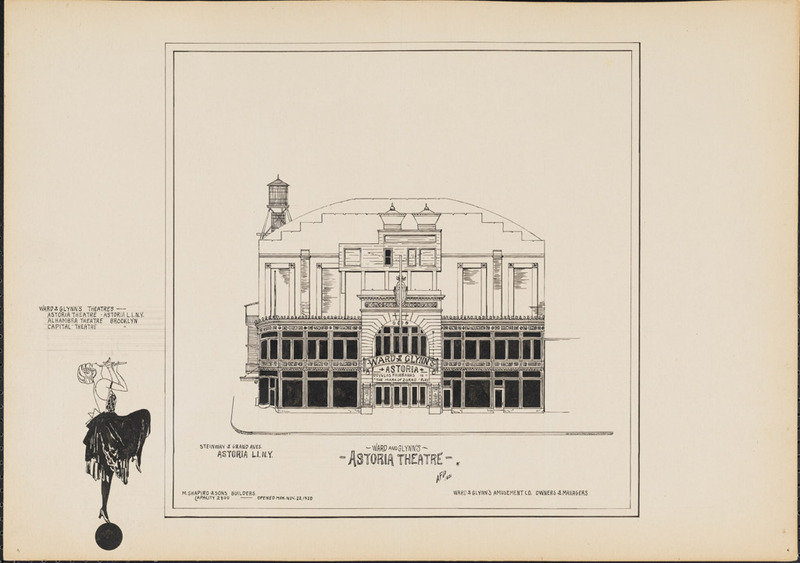 Prints, articles, clippings, seating charts, ephemera, and photographs make up the Collection on theatrical playhouses which documents performance spaces in New York City. 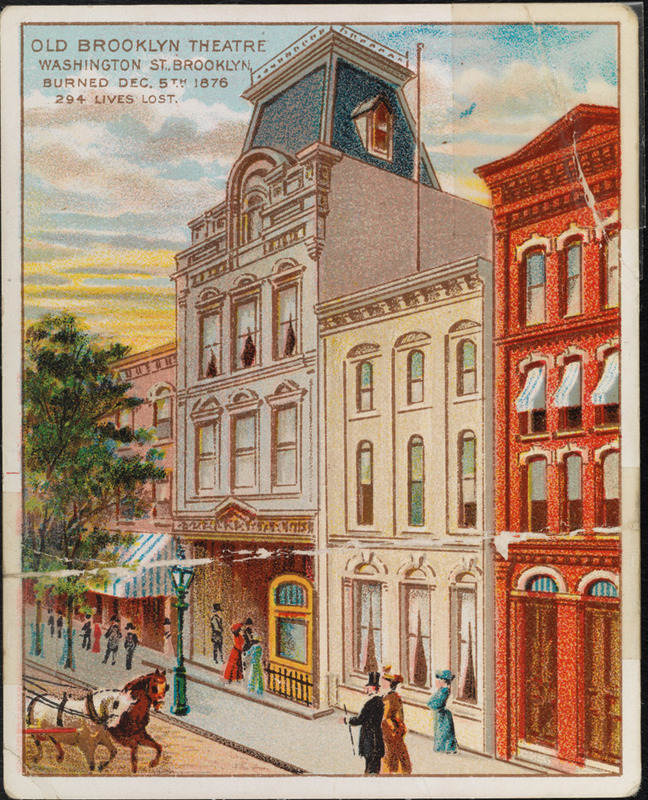 Image credit: Cigarette card for Old Brooklyn Theatre, 1900-1940. Museum of the City of New York. X2011.38.12. When he died in 1964, caricaturist William Auerbach-Levy left the Museum over 3,300 original drawings of popular plays and public figures including works created for The New Yorker, Vanity Fair, Brooklyn Eagle, and the New York Post. Image credit: William Auerbach-Levy. 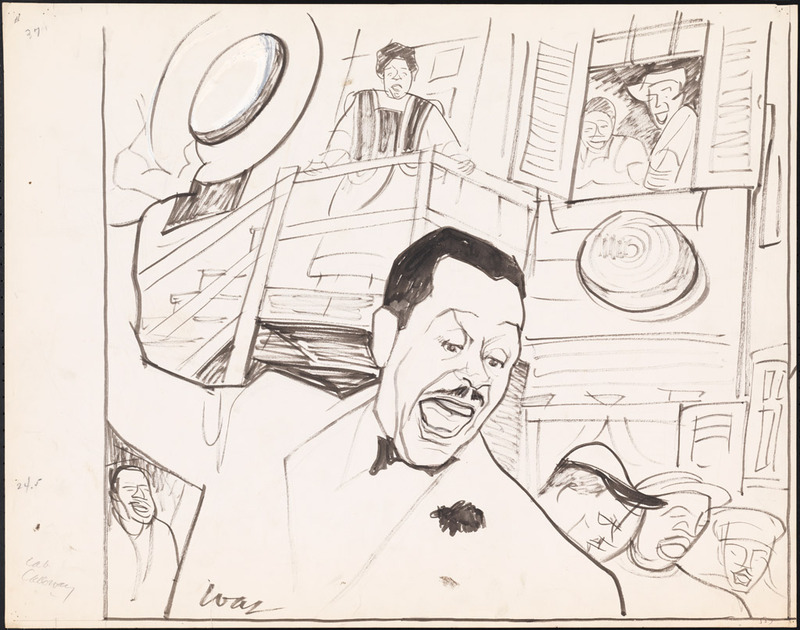 [Cab Calloway as Sportin’ Life in Porgy and Bess.] 1953. Museum of the City of New York. 64.100.507. 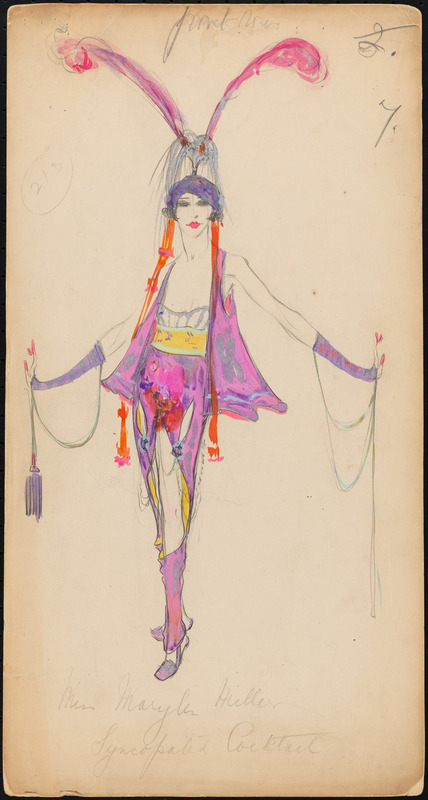 The Museum’s Theatrical production files encompass a wide range of material related to the New York productions, primarily Broadway theater that include annotated scripts, articles, clippings, contracts, correspondence, ephemera, photographs, and programs. 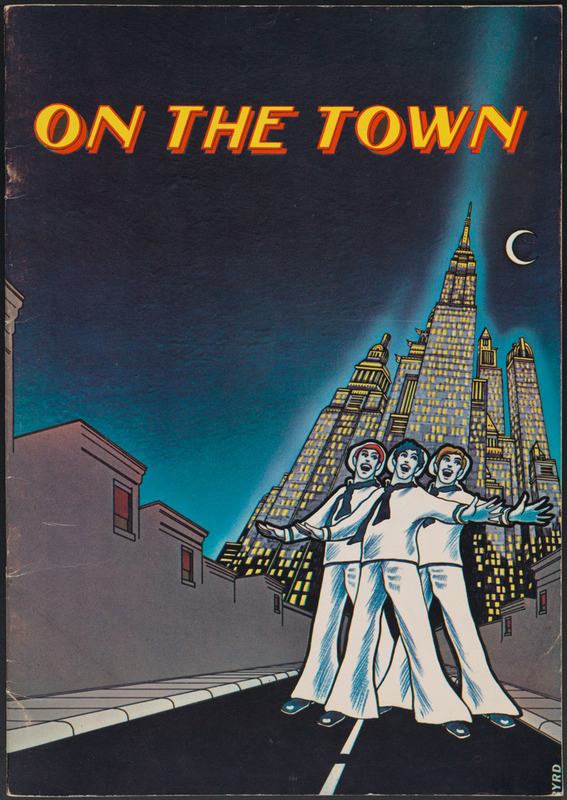 Image credit: Souvenir program for On the Town, 1971. Museum of the City of New York. 72.92.5. The Museum holds over 8,000 original costume and set renderings including major collections from Alvin Colt, Miles White, Donald Oenslager, Robert Randolph and Lucinda Ballard. Image credit: Lady Duff-Gordon. [Miss Marilyn Miller, Syncopated Cocktail.] ca. 1915. Museum of the City of New York. 98.32.3. 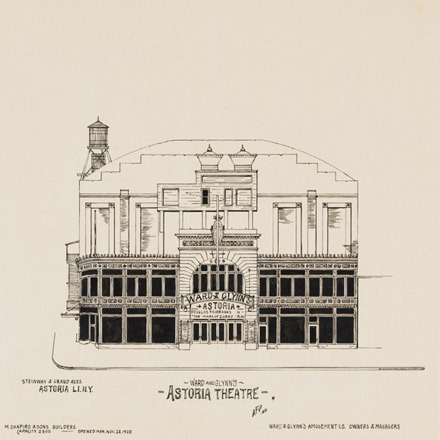 The Collection of Anthony F. Dumas theatre drawings holds 227 pen-and-ink works of stage and film theatres located in the five boroughs of New York City between the date range of ca. 1916 and 1942. Image credit: Anthony F. Dumas. Ward and Glynn’s Astoria Theatre, 1921. Museum of the City of New York. 75.200.157. 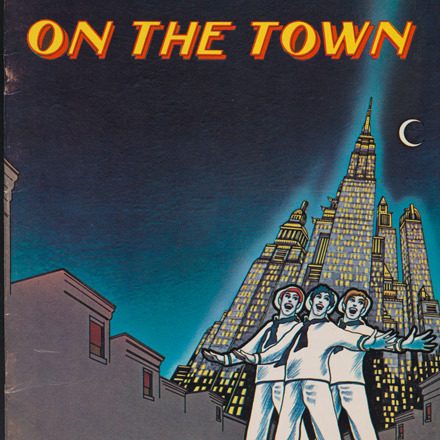 The Collection on Yiddish theater contains photographs, manuscripts, ephemera, sheet music, posters, and 3-dimensional objects related to Yiddish language performances in New York City. Image credit: Unknown. 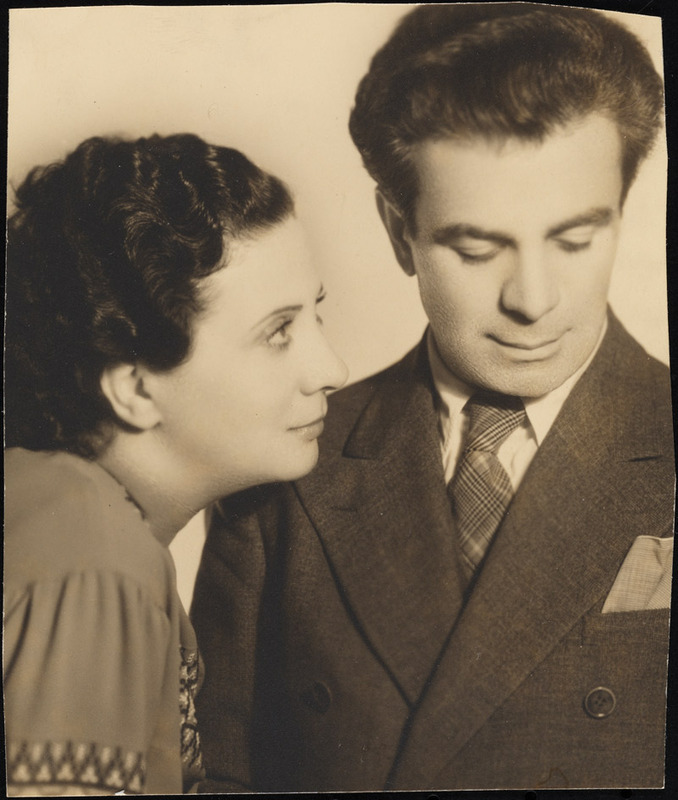 [Berta Gersten and Jacob Ben-Ami.] ca. 1930. Museum of the City of New York. F2012.63.143.